In the town of Lathrop (north of Ripon and east of Tracy) are seven bridges including several historic structures across the San Joaquin River. Today's bridge is the Union Pacific Mossdale Railroad Bridge. It's composed of a six panel, riveted Warren truss with a center span that was once raised and lowered by the towers on the side spans. The river is too shallow at this location to carry large boats today. Besides, the bridge has 22 ft vertical clearance in the closed position to allow for the passage of vessels. The bridge is 526 ft long with a 110 ft long center span. 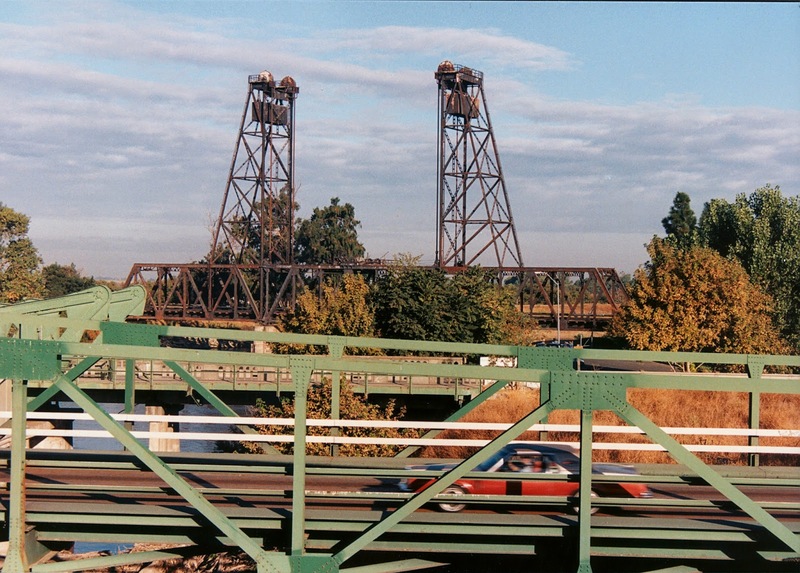 This is the third railroad bridge at this site, the current bridge was built in 1946, and it is registered as a California Historical Site (780-7). There is a lot of good information about this bridge. 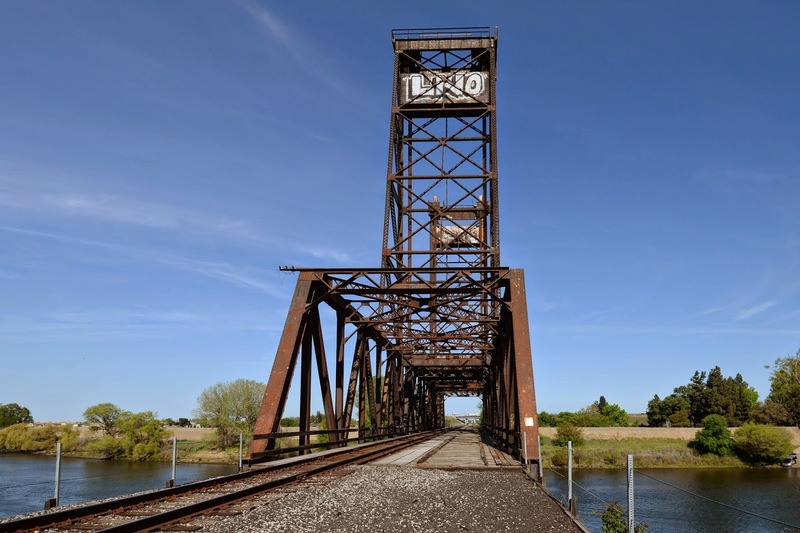 The Trainorders website discusses the history of the bridge, disasters that occurred on the railroad line (between Mococo and Lathrop), and the different trains that it carried. Apparently, the first bridge at this site (built in 1869) was the final link of the Transcontinental Railroad. Before it was completed passengers had to get off in Lathrop and take a ferry across the river before boarding another train on the opposite side. San Joaquin County, California Bridges: Mossdale Railroad Bridge across the San Joaquin River by Mark Yashinsky is licensed under a Creative Commons Attribution-NonCommercial-NoDerivatives 4.0 International License.